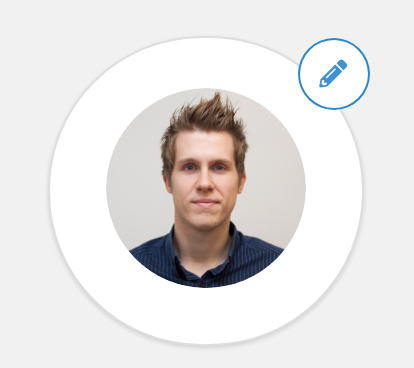 Use Gravatars, Custom Images, or No Images! Gravatars are great if you know about them, or have a web-literate clientele - but some local and small businesses love being able to upload an image for each contact - so in Zero BS CRM you have the choice of 'contact image mode'. This small feature is easy to change - simply choose a mode in the General Zero BS CRM settings page, then throughout your crm you'll see contact images (avatars) appropriate to the setting. We recommend Gravatars mode for any business with web-savvy clients, and custom image mode for those who want to attach their own images for each client. It's as easy as clicking edit & uploading an image for each client if you want to use 'Custom Image Mode'. If your client base is fairly web-savvy, you can easily just opt for Gravatar mode, which will look up their avatar from their email. 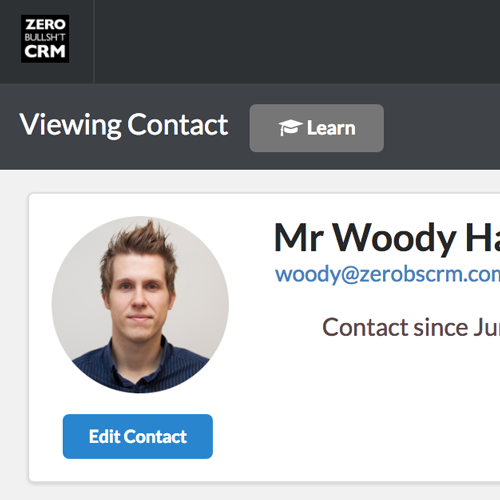 Once you upload an avatar for a contact, (or if you're using Gravatars, once you've added an email), Zero BS CRM will show the contact's image throughout the system.